Team Snowden has both Hot Snitzel and That’s A Good Idea in the 2015 Premiere Stakes field and co-trainer Peter Snowden is happy with both sprinters ahead of the Group 2 event at Royal Randwick on Saturday. The seven-year-old returned to the races with a close fourth behind Rebel Dane in the Group 2 The Shorts (1100m) at Royal Randwick on September 19 and Snowden is confident that the veteran sprinter has taken plenty of benefit from the run ahead of the Premiere Stakes this weekend. Hot Snitzel joined Team Snowden at the end of the 2015 Sydney Autumn Racing Carnival and the son of Snitzel took out the Group 1 BTC Cup (1200m) at Doomben on May 9 in his first start for his new stable before he finished a more than credible fifth in the Group 1 Stradbroke Handicap (1350m) at Doomben on June 6. 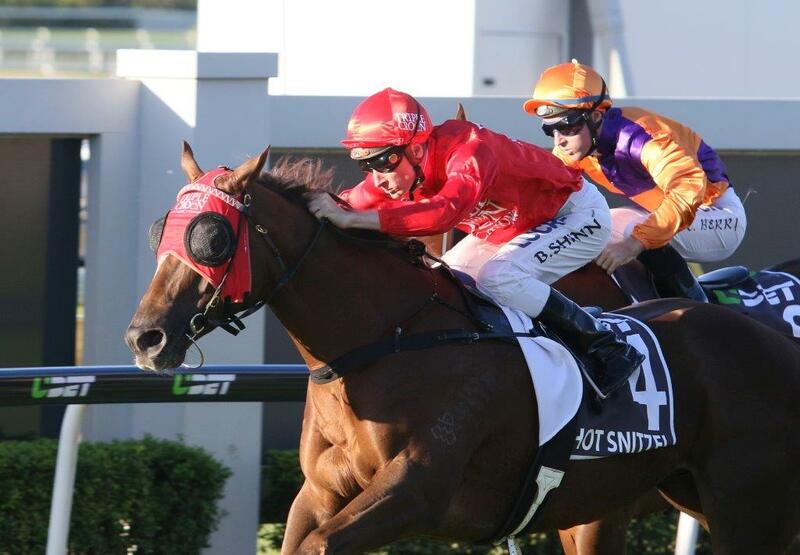 “Hot Snitzel’s run was great the other day,” Snowden told Racing Ahead. “He was only beaten by about three quarters of a length and he will take good benefit from it. That’s A Good Idea has not been seen at the races since he finished a close second behind Ball Of Muscle in the Group 2 QTC Cup (1200m) at Doomben on May 30, but he showed he was ready to return to the races with his performances in barrier trials at Rosehill Gardens on September 1, Warwick Farm on September 11 and the same venue on September 25. Snowden believes that dry tracks is key to the chances of That’s A Good Idea and he is pleased that the Flying Spur gelding will get the chance to race on top of the ground in the Premiere Stakes this weekend. “We are pretty much assured a good track on Saturday and that will help his chances quite a bit,” Snowden said. Snowden is chasing his first win in the Premiere Stakes after previously missing the placings with I’ve Got The Looks (sixth behind Famous Seamus in 2014), Pinwheel (fourth behind Arinosa in 2013), Rarefied (fourth behind Arinosa in 2013) and Shannara (ninth behind Red Tracer in 2012). Hot Snitzel is currently available at 2015 Premiere Stakes odds of $9, while That’s A Good Idea has been backed from $10 into $9.50.